Inbox Zero! What difference does it make – if any? Photo by ZhangYining on Flickr. Hi there! Thanks for reading The Overspill in 2016. This is the last Start Up until 16 January 2017. Some readers have asked whether The Overspill is going to become a subscription-based or advert-supported service, or whether there’s some way they could contribute financially. There aren’t any plans for change – it will remain free, and ad-free – but I’d be delighted if you’d like to make a contribution to any or all of the following charities. It’s entirely your decision (how would I find out?). • The National Deaf Childrens’ Society – a UK charity supporting families and deaf children. You can make a one-off donation by credit card. • Shelter – a UK charity which helps the homeless. • The Internet Archive – the archive of (nearly) everything from the internet. If you don’t know the past, you can’t know the future. A selection of 15 links for you. Read them slowly, but not aloud. I’m @charlesarthur on Twitter. Observations and links welcome. Most of us have experienced this creeping sense of being overwhelmed: the feeling not merely that our lives are full of activity – that can be exhilarating – but that time is slipping out of our control. 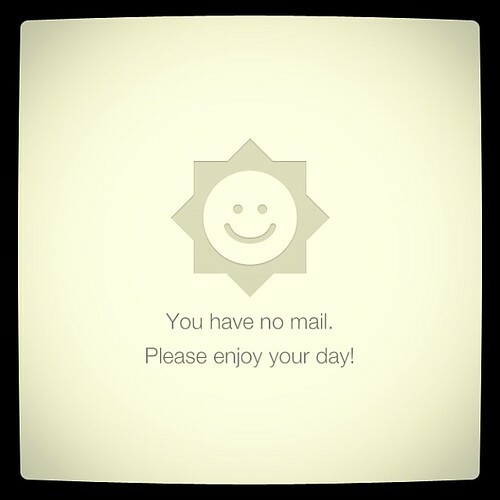 And today, the personal productivity movement that [Inbox Zero inventor Merlin] Mann helped launch – which promises to ease the pain with time-management advice tailored to the era of smartphones and the internet – is flourishing as never before. There are now thousands of apps in the “productivity” category of the Apple app store, including software to simulate the ambient noise of working in a coffee shop (this has been shown, in psychology experiments, to help people focus on work), and a text editor that deletes the words you have written if you don’t keep typing fast enough. And yet the truth is that more often than not, techniques designed to enhance one’s personal productivity seem to exacerbate the very anxieties they were meant to allay. A good one to read over the Christmas break. Google will be launching two new flagship smartwatches in the first quarter of next year, according to Jeff Chang, product manager of Android Wear at Google. In an exclusive interview with The Verge, Chang said that the new watches will be the flagship Android Wear 2.0 devices and will be the first ones to launch with the new platform. The new smartwatches had been rumored before, but Google confirmed the upcoming launch today as part of a larger effort to convince consumers that wearables — smartwatches specifically — are still in demand. The new models will not have Google or Pixel branding, but will be branded by the company that is manufacturing them. Chang says that Google collaborated with the manufacturer — which he wouldn’t name, but said has produced Android Wear devices in the past — on the hardware design and software integration for the watches. He likened the partnership to Google’s Nexus smartphone program in terms of collaboration and goals. So they’re Google but they’re not Google? Then again, given that Android Wear OEMs get no benefit from making them – even less than on Android phones – the difference between “Google-designed” and “Google-branded” barely exists. Also, they’ve missed the Christmas season. This will be a very hard sell. Samsung revealed the existence of the cartel, and so wasn’t fined. One of the main takeaways from using AirPods for the past week is that they represent a window into a wearables world. When the Apple Watch was unveiled, Apple talked about a scenario in which one can leave the iPhone by the door and just use an Apple Watch around the house. This hasn’t happened. As it turns out, AirPods end up having a much better chance of achieving what the Apple Watch was originally tasked to achieve. AirPods help break the chains that have held me so close to the iPhone. Combine AirPods with an Apple Watch, and an even greater number of chains are broken. While we aren’t at the point of being able to move beyond the iPhone, AirPods provide glimpses as to how this process is going to occur. …The most accurate measurement of AirPods demand will likely be measured in tens of millions of units over the next two years. For context, Apple sold 20M Apple Watches in 20 months while Amazon has reportedly sold 5M Echoes in two years. The ingredients are in place for AirPods to be a multi-billion dollar business within the next few months. It doesn’t hurt that sales expectations facing AirPods are much more contained than the lofty goals set for Apple Watch at launch. I’ve seen a couple of suggestions that Apple could get more revenue from AirPods ($159) than Apple Watch ($350 upwards). That seems quite possible: the total addressable market for AirPods is gigantic. Uber has confirmed that it will stop its self-driving pilot in San Francisco, following a meeting today with the California DMV and Attorney General’s office. The DMV revoked the registration on 16 self-driving test vehicles Uber was using in its pilot. We have stopped our self-driving pilot in California as the DMV has revoked the registrations for our self-driving cars. We’re now looking at where we can redeploy these cars but remain 100% committed to California and will be redoubling our efforts to develop workable statewide rules. Amazing arrogance from Uber: it’s saying it’s the laws that are wrong, rather than its lawbreaking cars. So it has moved them to Arizona. Good luck, folks! Margrethe Vestager, the European Union’s Competition Commissioner, said Facebook had claimed it was technically impossible to automatically match accounts in 2014. She said the EU’s “statement of objections” centred on its belief that this was not the case, and that Facebook did know how to combine accounts. According to Facebook, it has only gained this ability recently. “Companies are obliged to give the Commission accurate information during merger investigations. They must take this obligation seriously,” Ms Vestager said. The charge does not threaten to revoke the Commission’s approval of Facebook buying WhatsApp, but the company must now respond. Not being able to unwind the takeover seems reasonable; how about a continuing fine for being untruthful? Nokia Corp said on Wednesday it had filed a number of lawsuits against Apple Inc for violating 32 technology patents. The lawsuits, filed in courts in Dusseldorf, Mannheim and Munich, Germany and the U.S. District Court for the Eastern District of Texas, cover patents for displays, user interfaces, software, antennas, chipsets and video coding. This story brought to you by the year 2011.
scientists have devised a way to test whether an algorithm is introducing gender or racial biases into decision-making. The paper was one of several on detecting discrimination by algorithms to be presented at the Neural Information Processing Systems (NIPS) conference in Barcelona this month, indicating a growing recognition of the problem. The test is aimed at machine learning programs, which learn to make predictions about the future by crunching through vast quantities of existing data. Since the decision-making criteria are essentially learnt by the computer, rather than being pre-programmed by humans, the exact logic behind decisions is often opaque, even to the scientists who wrote the software. Not black magic black boxes, though. Also, what if the method of detecting discrimination relies on algorithms…? “Dull,” “link-litter,” “no meaningful information in the posts”: well, perhaps—YMMV. But I’m not forcing anyone to read them: I simply post stuff that anyone can subscribe to if they find it interesting for whatever reason. If they don’t, they can stop following me on Google+ and they are spared the flood of dull and repetitive link-litter forever. How many users does the service have now—and how is that measured? How does the “violations of User Content and Conduct Policy” work? How can people find out the grounds for warnings? How can they appeal against decisions? Google’s PR company responded swiftly, not once, but twice, in order to find out exactly what I was looking for. Finally, I was sent the following: “Hopefully this should provide some steer on the conduct policy.” As the link shows, “this” was simply Google’s terms and conditions as far as “User Content and Conduct Policy” were concerned. In other words, it provided zero answers to my questions. [Google] Translate made its debut in 2006 and since then has become one of Google’s most reliable and popular assets; it serves more than 500 million monthly users in need of 140 billion words per day in a different language. It exists not only as its own stand-alone app but also as an integrated feature within Gmail, Chrome and many other Google offerings, where we take it as a push-button given — a frictionless, natural part of our digital commerce. It was only with the refugee crisis, [Google CEO Sundar] Pichai explained from the lectern, that the company came to reckon with Translate’s geopolitical importance. On the screen behind him appeared a graph whose steep curve indicated a recent fivefold increase in translations between Arabic and German. (It was also close to Pichai’s own heart. He grew up in India, a land divided by dozens of languages.) The team had been steadily adding new languages and features, but gains in quality over the last four years had slowed considerably. Canon Tokki Corp., surrounded by rice fields in the city of Mitsuke in Niigata prefecture, has a near monopoly on the machines capable of making screens with organic light-emitting diodes, which enable sharp, vibrant displays that use less energy. A unit of Canon Inc., the company of 343 employees has spent more than two decades perfecting the manufacturing equipment used by OLED screen makers. But there’s a problem: Canon Tokki has a growing backlog even after doubling output in 2016. The potential production bottleneck is raising questions over Apple’s ability to feature OLED displays in next year’s iPhones, and whether the Cupertino, California-based company will be able to line up additional suppliers. The current wait for a machine, which can cost more than 10 billion yen ($85 million) each, is about two years. “We are doing all we can to increase output and make that wait shorter,” said Chief Executive Officer Teruhisa Tsugami, adding that demand from display makers, including Samsung Display Co., LG Display Co. and Sharp Corp., will remain strong for the next three years. Lots of questions from those who look closely at this stuff about how good OLED looks compared to LCD. Question: Apple has various sizes of LCD screens. Why would it need OLED ones on its phones? Lowery has been keenly following and participating in the debate around safe harbour and the “value gap” [the lower per-stream payments on YouTube versus those on Spotify/Apple Music/etc]. He thinks that the arguments for removing safe-harbour protection from services like YouTube have been better articulated in Europe than in the US so far. “In the United States, it’s an unfair competition argument that would need to be made, because of the way our courts work. Spotify, as much as I criticise them, are licensed on the recording side. They are good players in the ecosystem: if something shouldn’t be up there, it’s gone or it never gets up there in the first place,” he says. The “value gap” row is only going to intensify. I’ve written an article touching on it for The Guardian for publication in the next fortnight or so. To retaliate [against any trade action taken by anti-China Trump appointee Peter Navarro], China also could make use of informal trade barriers—making health claims against American food products, for example—that are highly technical and difficult to counter in the WTO but hurt U.S. exporters, some experts said. The U.S., Japan and Europe use similar non-trade barriers. Trade battles between the world’s two largest economies would hurt both sides, economists said. When the U.S. slapped tariffs on imports of Chinese tires in 2009, it saved up to 1,200 jobs, according to a Peterson Institute study. But it cost U.S. consumers around $1.1bn, or around $900,000 per job, in higher tires prices in 2011 and cut retail spending in other areas, leading to an overall loss of 2,500 jobs, the institute calculated. China, meanwhile, retaliated by blocking U.S. chicken exports, leading to $1bn in lost U.S. sales. “Even if U.S. companies move back to the U.S., it doesn’t mean manufacturing jobs will come back since U.S. companies will use automation to save money,” said Ms. Cheng, who said she hopes Mr. Navarro can visit China to bolster his understanding. “This policy is against the world economic trend,” she added. China can do this almost surgically, as the piece notes: it might allow Apple to trade (since California isn’t a Trump or Republican stronghold) but block soybeans and other farming products (on those “health” grounds) which come from midwestern Republican states. There’s no good reason to develop your publication for these devices yet. There’s this invention called “the radio” which does voice reporting of news quite well, and you can access it via Alexa or whatever if you have it rigged up. This strikes me as classic publisher anxiety about new platforms (remember when tablet apps were “OH MY GOD WE MUST DO THIS”) plus Silicon Valley “Alexa can read headlines, so everyone will want to” determinism. It’s nonsense. With mounting losses amid too many players fighting to grab a pie, exits will surpass entrants in the Indian smartphone market in 2017, analysts said on Thursday. There are nearly 250m unique smartphone users in the country and by the end of 2016, there will be 280m Indians with these devices. “With declining margins amid cut-throat competition, we predict some smartphone players will call it quits in 2017. We estimate that number of exits in the smartphone market will exceed number of entrants in the next year,” Tarun Pathak, Senior Analyst, Mobile Devices and Ecosystems at New Delhi-based Counterpoint Research, told IANS. “While some signs of this trend already started happening, we predict it will only intensify in 2017 and lead to consolidation in smartphone market,” Pathak added. Most of the exits will be seen at the entry-level smartphone segment, involving regional players which were unable to generate volume and, at the same time, were unable to scale up their portfolio. India has moved pretty fast from “next great opportunity” to “no-hope consolidation” market. Lower power drain on a device people don’t use for colour accurate work? But Wikipedia is not dedicated to accuracy – in fact, this a longstanding criticism of mine. It is dedicated to a certain abstract process that is complicated to describe, but specifically is not grounded in accuracy. Do not confuse that this process often creates an outcome which comports with your views, with any sort of dedication to truth. That’s exactly the problem. If you happened to be on the other side of a media pile-on, Wikipedia’s deliberate disregard of accuracy as an overriding principle would look very different. I’m not clear what you conjecture might happen in terms of “a target for the alt-right”. Lawsuits? Or edit-wars? Note none of the donations would help people dealing with the actual articles. They would be expected to do the editing clean-up work, no matter how much, all without payment. Of course, there have been complaints about “bias” forever – many unjustified, but perhaps not all. A while back there was a hilarious kerfuffle with an extremely right-wing partisan media site, but I can’t describe it without being very careful of libel laws.